Applicants from all countries can apply. If you’re between the ages of 18 and 28, comfortable working with children, proficient in english, and either a student, teacher, youth worker, or someone who can lead a specialized skill at camp, then you are eligible for the program! What’s a “specialized skill” you ask? Anything you are good at that can be of value to a summer camp is a specialized skill! Love to swim? Great with a video camera? A natural on stage? All of your talents can and should be highlighted in your application! If you love working with kids and enjoy the outdoors, then this job is for you! Previous childcare experience is always a plus, but you can still apply without it! There are so many skills you can offer to a summer camp! 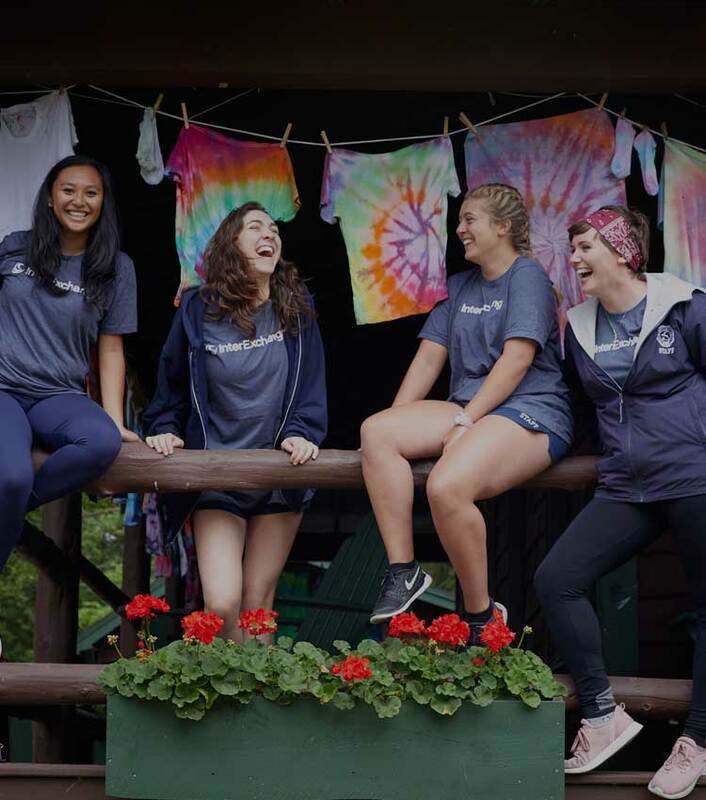 A great attitude and a desire to work with campers are the main attributes camp directors want to see in an applicant. Many directors value life experience over qualifications, so if you love drawing don’t be afraid to list it as a skill on your application. Apply as soon as possible! The earlier you submit your application the better. Applications submitted after March 1st aren’t guaranteed to be accepted. Keep in mind that InterExchange will ask you to do a short interview before we accept your application, so plan accordingly and get your application in early! Can I get a visa in my home country? Yes! Once you are accepted and placed at a U.S. summer camp, InterExchange will be able to process your paperwork needed to apply for the J-1 Visa at a U.S Embassy in your home country. We will walk you through all of the steps you’ll need to take to obtain a visa! The application can be completed in as little as one day; it completely depends on you! We encourage you to take your time with the application, think about your responses, and make your application stand out. But, the key to submitting a stellar application is starting early! We try our best to find a placement for each participant. Since camp directors have the final say on who they’ll hire, we can’t guarantee a time frame. Some participants are matched one week after they are accepted into the program, while others wait several months. You should be prepared to wait until mid-June for a placement. What kind of visa am I applying for? Working at a U.S summer camp requires you to apply for the J-1 Cultural Exchange Visa. Although we work with camps all across the United States, the majority of camps are located in the Northeast region, a few hours from major cities such as New York, Boston, and Philadelphia! Enjoy the outdoors while being a hop, skip, or jump away from a city that would be a great trip on a day off. You may be begin the camp program starting as early as May 15th and ending as late as September 15th. You will coordinate your exact dates with your camp director. Counselors tend to arrive a few days early to go through staff orientation and training before the campers arrive. This gives you time to bond with other counselors and get accustomed to life at camp! After your last day of work, you will be allowed 30 days of travel within the U.S.
You are allowed to enter the U.S up to 30 days before your program start date, but we recommend not arriving too early so you are refreshed and ready for camp. Your visa also grants you a 30 day U.S. travel period after camp! We highly encourage you to use the travel period after camp. Am I allowed to find camp jobs on my own? If you have applied to our Camp Placement program, we will take care of the placement process for you. We work with hundreds of camps across the U.S. and we’ll match you with a job that fits your skill set and personality! If you have applied to our Self or Returning Placement programs, then you are responsible for finding your camp job on your own. After you are independently hired, and your camp sends you a contract, you can apply to either our Self Placement or Returning Placement program to obtain your visa. What is an International Cooperator (IC)? InterExchange also works with independent agencies based in countries outside the U.S. If InterExchange works with an IC in your home country, they can help you complete and submit your application to us. You are not required to apply through an IC, but they can offer you great advice and guidance throughout the application process in your native language and home country. This is why if you apply to InterExchange through an IC, you’ll pay your fees directly to them. International Cooperator fees vary from country to country and are determined by each IC based on the services and benefits offered. InterExchange only works with IC’s who charge fair program fees. If you have selected an agency in your home country and would like to apply through InterExchange, please contact us to verify that the agency is approved to send candidates through InterExchange. We do not accept applications from unauthorized third party agencies, and we request that you do not pay any fees to an agency without first verifying they have a contractual agreement with InterExchange. Similarly, if you would like help finding an international cooperator, please contact us for a list of InterExchange-approved agencies in your home country. If we do not work with an agency in your country, you may still apply to InterExchange directly. A camp counselor is the best job ever! 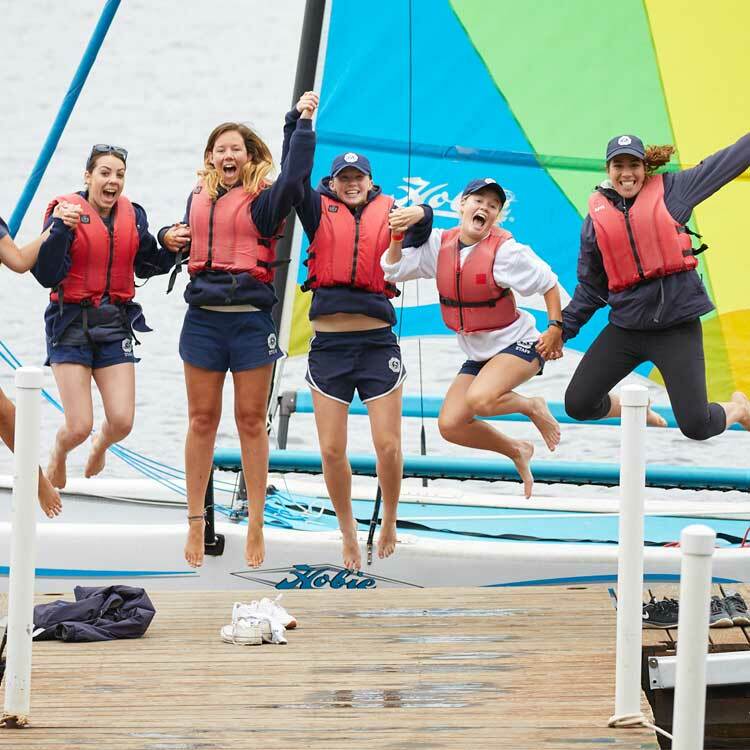 In a nutshell, you’ll be in charge of leading day-to-day activities, and helping campers have a ton of fun. No two days as a counselor will be exactly the same. One day you may be leading a hike, while the next helping your cabin prepare for the camp talent show! It’s a job that takes lots of energy, but is really rewarding if you love working with kids. Learn more about the camp counselor experience from our participants here! What types of camps can I work with? There are all sorts of summer camps throughout the U.S. serving many different types of campers. No two camps are exactly alike, and many camps fall into multiple categories. There are all girls camps, boys camps, religious camps, sports camps, arts camps, academic camps, equestrian camps and camps with every activity imaginable. There are camps that serve children from underprivileged backgrounds and camps for people with special needs. Many camps combine these categories. For example, there are traditional all girls camps, traditional religious camps and traditional sports camps! An academic camp be an all boys camp that serves children from underprivileged backgrounds. We encourage applicants to be open to as many camp types as possible, and determine if they would be a good fit based off their interview! There’s no reason to limit yourself to a job opportunity before you get a glimpse into life at that camp. What is the difference between the Camp Placement, Self Placement and Returning Placement Programs? Camp Placement participants are participants who apply through InterExchange to find a camp job! Self-Placement participants are first time international candidates who have already secured a job offer by contacting a U.S. camp and making arrangements with the camp directly. Returning Placements are participants who have worked at a camp in a previous year and have secured a job offer by making arrangements with the camp directly. What is your refund policy if I cancel? The insurance fee is always refundable before the insurance has started. If you cancel after we have issued your DS2019 form, you will be refunded the $135 USD insurance fee. If you cancel before we have issued your DS2019 form, you will be refunded a total of $200 USD, which includes a portion of the program fee and the entire insurance fee. Refund policies may vary if you applied through one of our International Cooperators.